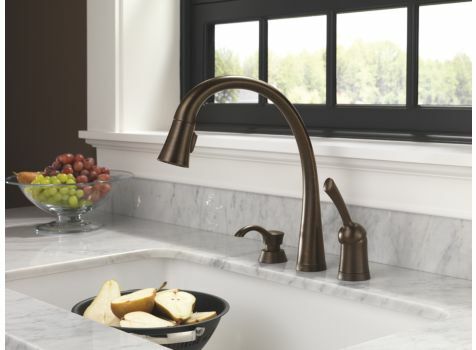 Pilar is a distinctive kitchen faucet that coordinates with any dÃ©cor and provides all the convenient functionality Touch2OÂ® Technology has to offer. Pilar also features Delta\\\'s exclusive MagnaTiteâ„¢ Docking to keep the wand securely in place. Pilar is a distinctive kitchen faucet that coordinates with any décor and provides all the convenient functionality Touch2O® Technology has to offer. Pilar also features Delta's exclusive MagnaTite™ Docking to keep the wand securely in place.